New Ash Green v The Mote III - Hopefully, a full report on the match will emerge soon, but meanwhile: New Ash Green won the toss and chose to bat first. They proceeded to rack up a 40 over score of 245. P Sumner was bowled just 2 runs shy of scoring a 2nd century within a month. N Delaffon (25) and A Gleeson (32) joined him for partnerships of 75 & 73 respectively, and most batsman contributed to the scorecard. 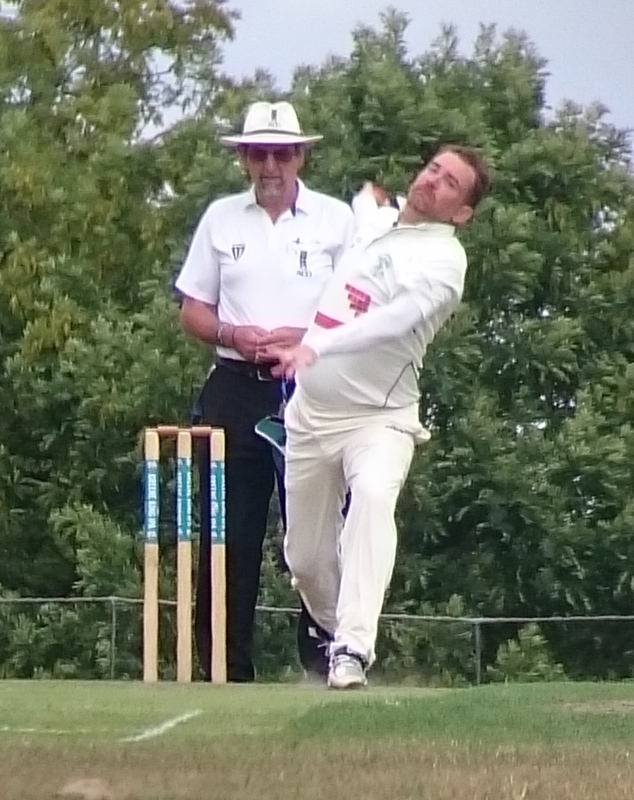 After tea The Mote collapsed in 12.5 overs under the usual New Ash Green opening attack of J Nash (7-13) & I Mellor (3-10) and there was noone left for anyone else to get the chance to bowl at. D Freeman & A Gleeson took catches. The Mote Skipper A Bone was the only man to reach double figures. A bye week, so no league match and it was decided not to look for a friendly. As the Tourists had only got back home 2 days before this Sunday as usual was designated as a non-playing day. However you can still enjoy checking out the exploits of The New Ash Green Touring Party on the blog here. No pictures from the actual match, so, from tour, here's a view of what The Mote batsmen faced. For more club photos check out our gallery & also our instagram.